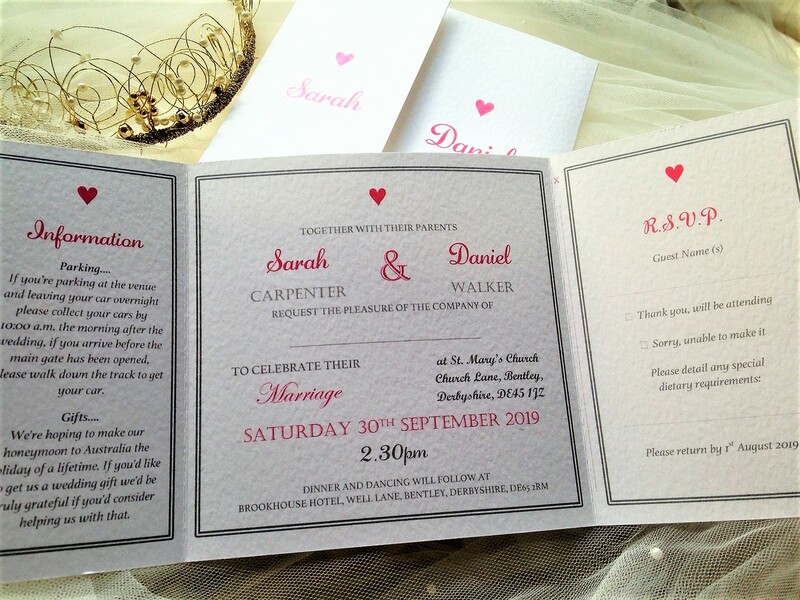 York wedding invitations are a stylish design which incorporates a guest information section and RSVP card. 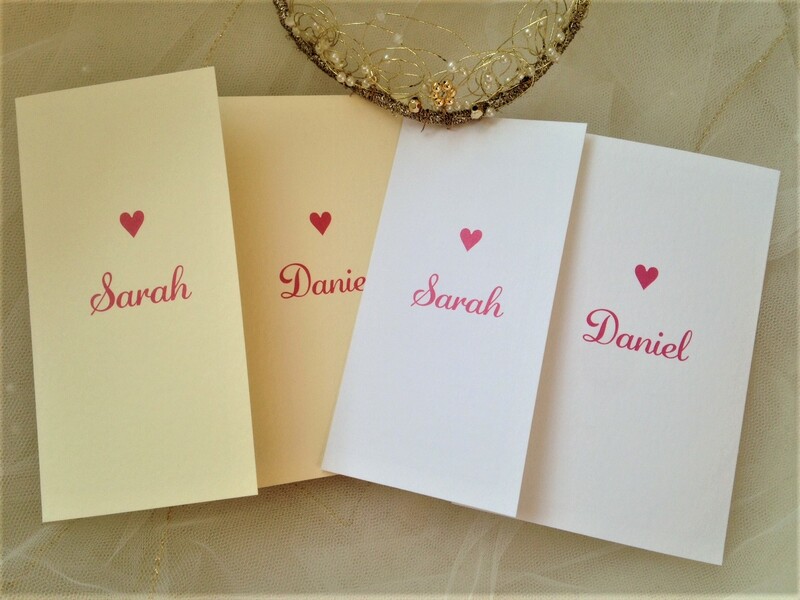 Pictures shown have the accent colour in dusky rose but we can produce them in any colour to match a theme. 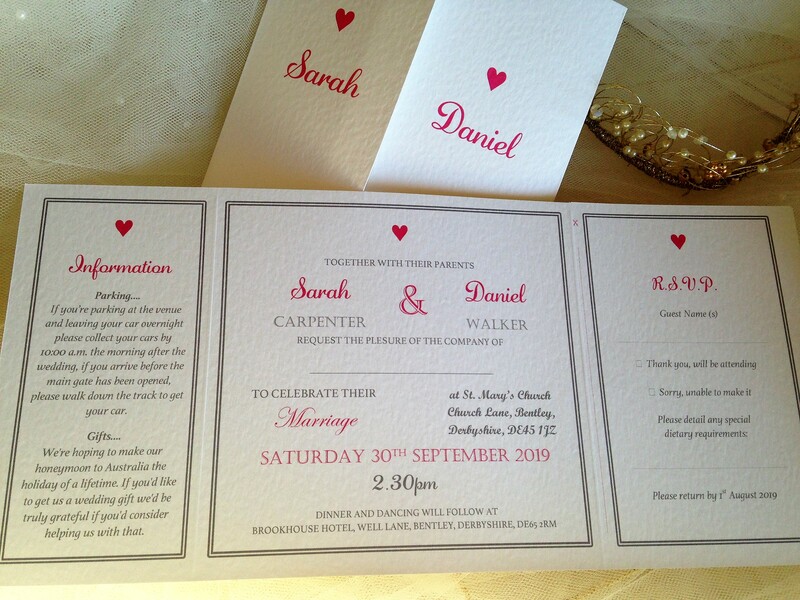 York wedding invitations are printed on a heavy weight (270gsm) hammered textured card, available in white or ivory. 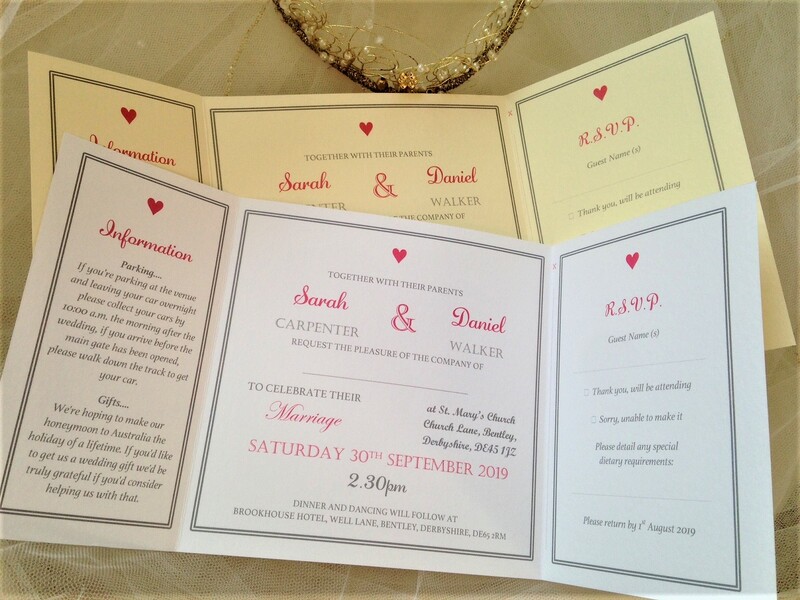 These eye catching wedding invitations measure 15cm x 15cm when folded and open out to 32cm wide. 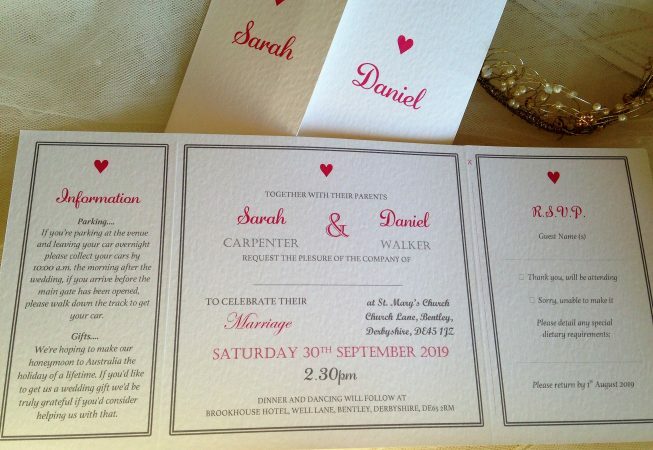 Matching evening invitations also available in this design.